Some more Aussie goodness, this time with the discography of Sydney's thrashers Neophobia. 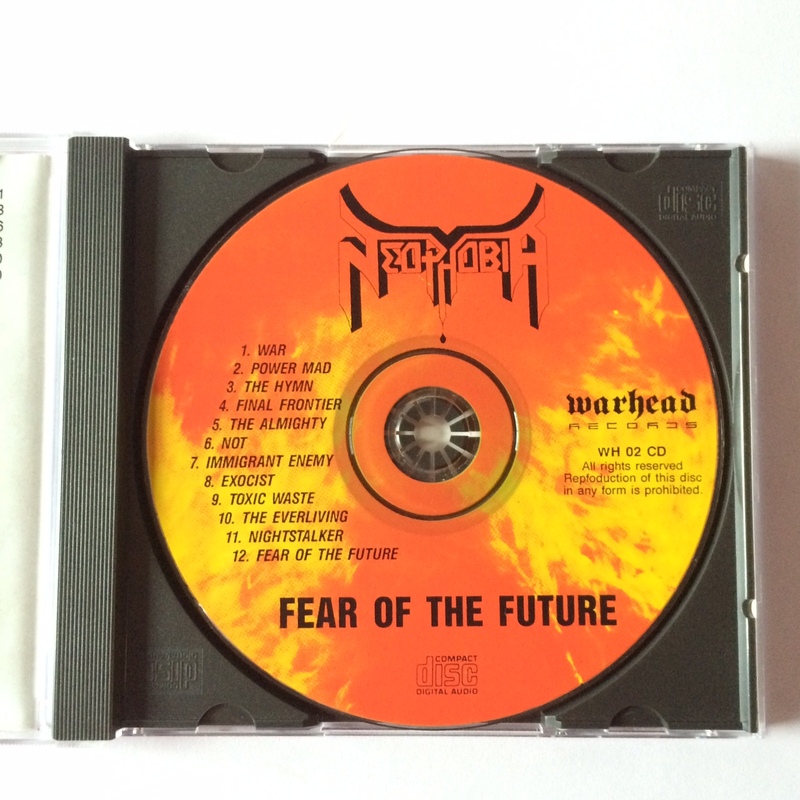 These two CDs on Warhead Records gained a big hype in recent yeats and prices increased rapidly. While the first track on Fear of the Future (War!) is clearly their masterpiece in the vein of Nuclear Assault or Defiance (most of the rest is mediocre in my opinion), they managed to do a great follow-up with Metallica-like thrash metal and some hints of modern elements. The songs even tend do be memorable at times, a thing only War! manages to do on their debut album. 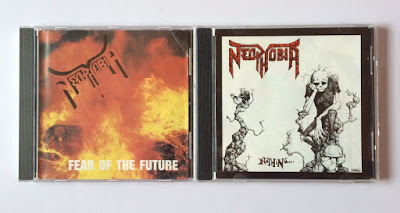 These two Aussie CDs can be considered some of the more obscure ones in the thrash metal genre. Hence they rarely pop up anywhere and if they do you have to accept the conditions of the cds. Both have wavy back inserts, due to bad quality .. I don't have the patience to search for copies in better shape though so yeah, whatever.